U.S. Mint Program Manager Dean Bidle presents Shawnee quarters to Supervisor Allen Nicholas and Forest Service Chief Tom Tidwell. 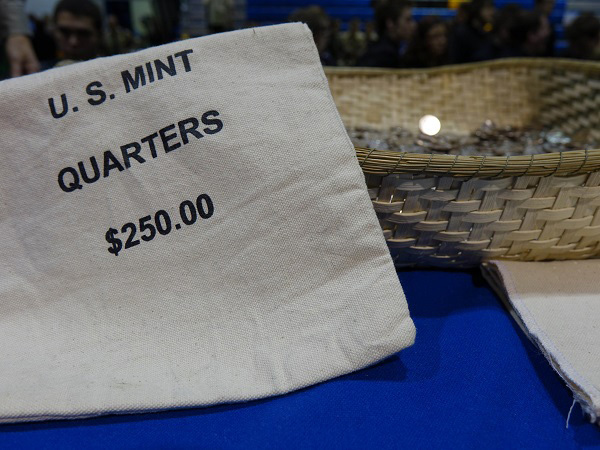 The United States Mint joined Shawnee National Forest to celebrate the release of their new quarter Feb. 4 in Harrisburg, Ill. 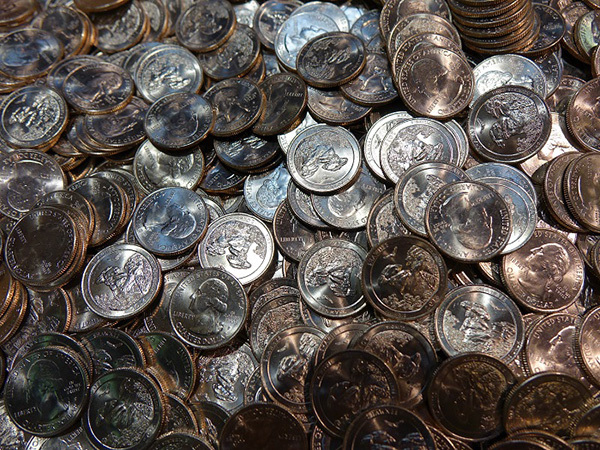 The Shawnee National Forest quarter is the 31st coin in the America the Beautiful Quarters® Program and the first quarter to be introduced into circulation in 2016. More than 1,300 people attended the event, including approximately 550 children from local schools, Job Corps and Cub Scouts. Executive Director of the Southernmost Illinois Tourism Bureau, Cindy Cain, served as the Master of Ceremonies. Cain welcomed the crowd and introduced Cub Scout Troop #7017 for the presentation of colors, the Harrisburg Eastside Elementary School 5th grade students who led the Pledge of Allegiance and the Harrisburg High School Choral Ensemble who performed the National Anthem. U.S. Forest Service Chief Tom Tidwell delivered remarks on how proud the Forest Service was to be part of the program and to have Shawnee National Forest represented on the quarter for Illinois. George Blanchard, representative of the Eastern Shawnee, addressed the crowd and spoke some words in the local Shawnee language. Ben Barnes, Second Chief, Shawnee Tribe, delivered remarks on the significance of the partnership between the tribes with the forest. 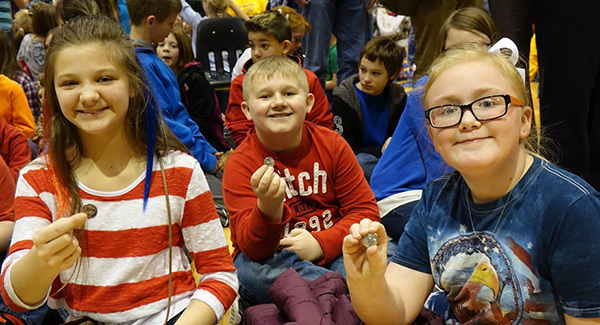 Deb Detmers, District Director for Congressman John Shimkus, addressed the hundreds of students in the audience and told them a story about a special coin she received from her grandfather. She encouraged the children to save their Shawnee National Forest quarter so that they can share it with their future children and grandchildren and remember the special day when they received it. Matt Rice, District Director for Congressman Mike Bost, delivered a message from the Congressman. Local historian Todd Carr spoke about L.O. Trigg, the most vocal proponent of the creation of the Shawnee National Forest in the early 1930s and the most prolific chronicler of the forest’s beauty. Shawnee National Forest Supervisor Allen Nicholas remarked how proud he was to be a part of the celebration that honored Shawnee National Forest. He thanked everyone for making the day such a special day and one of historical significance for the area. Dean Bidle, a native of southeastern Illinois, served as the senior official for the U.S. Mint and shared stories of his time growing up in nearby Carbondale and attending SIU. Bidle presented Shawnee National Forest quarters struck on the first day of production to Supervisor Nicholas and Chief Tidwell. Chief Tidwell, Supervisor Nicholas, Second Chief Barnes, Blanchard and Bidle participated in the ceremonial coin pour. The table was covered with a traditional tribal dance blanket and a Native American basket was used for the coin pour. 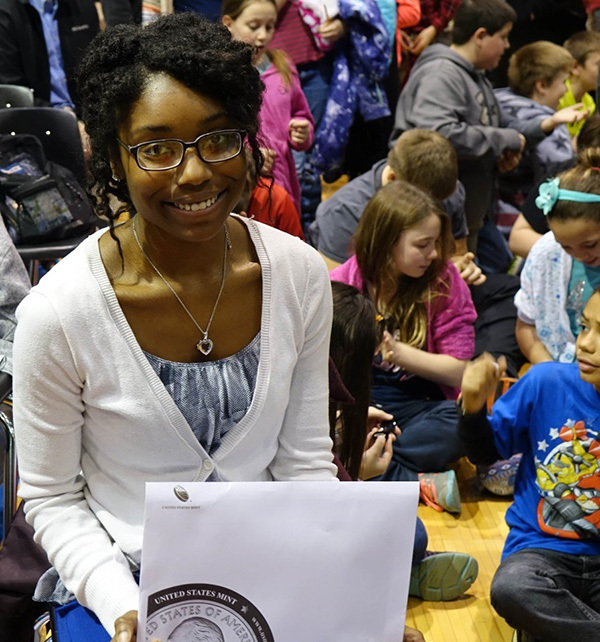 After the ceremony, the dignitaries distributed shiny new Shawnee National Forest quarters to the hundreds of children in the audience. The Harrisburg High School Band performed music before and after the ceremony, including an instrumental version of America the Beautiful. Banterra Bank exchanged all $25,000 in Shawnee National Forest quarters following the launch ceremony. The U.S. Department of Agriculture posted a blog about the event.